*This post recounts some of my adventures from the summer of 2018 traveling solo in Montenegro. When I asked about recommendations for historic sites in Montenegro, my Airbnb host mentioned Cetinje without hesitation. Cetinje is the old capital of this tiny Balkan country and the residence of the current Montenegrin president. This city of about 14,000 people rests in the low mountains some 20 kilometers from Montenegro’s central coast halfway between the stunning Bay of Kotor and the beautiful nature of Skadar Lake National Park. I was on my way out of Montenegro after spending a week between the stunning views of Kotor Bay and the beaches of Budva. But I had an afternoon to kill and Cetinje was on the way to the airport in Podgorica, the capital of this tiny country of immense natural beauty. I grabbed my backpack and walked until I found a taxi driver who was willing to take me for what I knew to be a reasonable price. Do your research up front kids! It’s funny how quickly the price drops when you begin walking away from taxi driver sitting in his car! A scenic 35-minute drive and we had arrived in Cetinje. The taxi driver dropped me a block from the historic Orthodox Christian Monastery. It was beautifully restored in the early 20th century, but the original monastery dates to the 15th century. Since it was a very warm, humid summer afternoon, I was wearing shorts. Luckily, there were sarong’s for the borrow and I wrapped one around my waist to cover my legs. 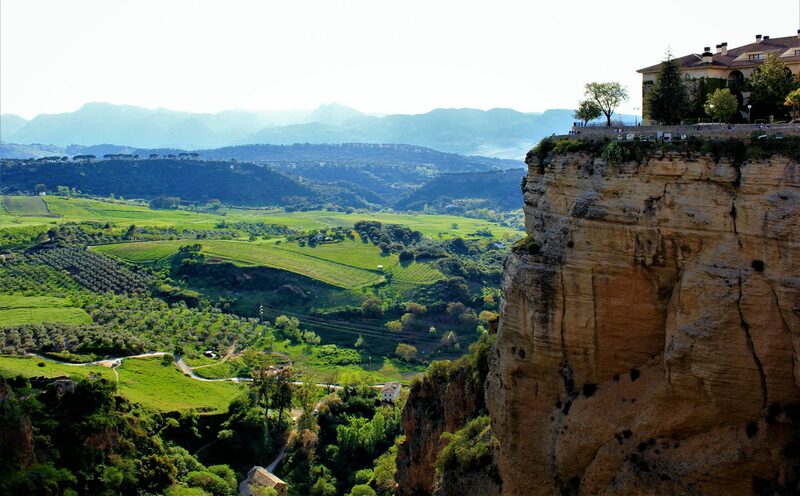 This monastery has been a pilgrimage site for centuries and is known to contain pieces of Christ’s cross as well as the hand of John the Baptist. I didn’t see either, but there were some brilliant icons and relics within the chapel. Several hundred meters in front of the monastery stands Dvorska Crkva, a small Serbian Orthodox church. Several pillars have been excavated from the grounds around the monastery and are on display. There were several other places of interest on the site including a museum, but I didn’t visit them. I walked around a nearby park and square off of which there were a few restaurants. I had a bite to eat and asked around for the best place to grab a taxi and I was off. I had an amazing time traveling solo in Montenegro between Kotor, Budva, and Cetinje. The country is beautiful, the beaches are amazing, the food delicious, and the history is fascinating. I WILL be returning to explore you more! Mostly, though, it was the people I met on my journey that made it all so incredible… locals and fellow-travelers alike! Thanks to Zeljko & Dragana, my Airbnb hosts! I have never met such warm, wonderful and inviting people who were willing to not only make me feel welcome but spend time sharing stories! You guys are the best! Thanks to Jeremy & Agi who I met randomly at a bayside restaurant in Kotor, invited me to their table and taught me how to drink apricot schnapps properly! There was a lot of smiles and laughter that night! You guys Rock! Thanks to the amazingly inspirational Karen. We shared a ferry ride from Perast to Ostrvo where the Our Lady of the Rocks church stands on a tiny island in the Kotor Bay. We shared travel stories. She was taking time off from her master’s degree and traveling as a solo female to visit so many “off the beaten path” destinations! I was both impressed and quite jealous! To the incredible friends I met in Montenegro! I can’t wait to see you again! Hi! I’m Lane, a Lifestyle Blogger, Europhile and self-described Foodie. I Curate Inspiration (and occasionally write) about European Travel, Financial Independence, and Mindful Living. © 2017 Lane Beck and Travel Inspire Connect. All rights reserved. Unauthorized use and/or duplication of this material, including any and all images, without express and written permission is strictly prohibited.